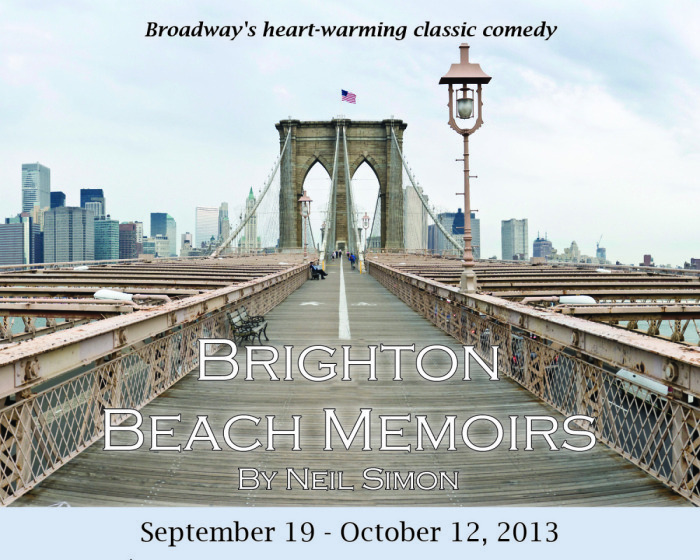 Recently at Interplayers Theatre, I saw the play Brighton Beach Memoirs by Neil Simon. It was an incredible performance that exemplified the topic at hand – conflict. The story is about Eugene, an adolescent, Jewish boy in 1937. He recalls his memories of living with his parents, aunt, two female cousins, and his brother at a time when he was going through puberty, sexual fantasy, poverty, and living in a crowed home. In this play, Eugene Jerome, played by Nich Witham, gave an over-exaggerated sense (in a fantastic performance) of not being heard and doing what he could to find his place and get his needs met in this family. This play was a great backdrop for me to expound on how to resolve conflict and the pitfalls of communication. Here are some helpful steps. Clear with this person on an energetic level. 2. You have an aura around you which is part of your energetic self. Imagine pulling your aura in around your body. Pull it in about 6 – 8 inches around you. 3. Focus in your heart and bring your attention out of the top of your head into the heavens. 4. Image the person there with you. At this level, send them love from your heart. You may also imagine sending them golden white Light from your heart. 6. Come back down, image yourself filling up with golden white Light and release any leftover energy down your grounding cord. Steps to resolve conflict in person. 1. Write out the situation in your journal and then re-read it the next day. Sometimes it helps to do this a few times, so that you can become clear on what happened and what you want to communicate. 2. Become aware of your own part of the situation, even if you perceive it to be minor in comparison to the other person. 3. If you are angry, look at where you may be feeling hurt or fearful. These emotions are often right under the surface of anger. Feel your feelings and let them go. Journal them over and over if need be. 4. Contact the person you are having conflict with and use clear, direct, honest communication. I suggest you meet in person (not via text or email) because this allows you not only to read the body language, but also to open your heart. 5. Give the other person the chance to communicate their side completely. It is helpful to use the words, “I heard you say,” and repeat back to them what you heard and let them clarify. This helps them to feel heard. You can hear what someone is saying without agreeing with them. It is important that you hear. 6. Once the other person feels heard, share your side. They may not listen well and you may not feel heard. If that is the case use the broken record method. Continue to say the core message again and again, “I hear what you say, and ______.” Yes, that is true, and _______.” Do this until they are able to understand they are not hearing you. 7. Make a request of the person such as “My request is we put this behind us and go on from here,” or “My request is that we continue to meet and talk weekly until we can resolve this.” You can use whatever it is that you desire. Sometimes people have a hard time clearing conflict because of negative communication patterns. Often these reactions were learned in early childhood as a survival response to a dysfunctional family. In this case they may triangle in other people to take sides, or become passive aggressive and rather than talking with you directly, they will be passive in their aggression in a subversive manner.